Pine Marten Lodge, sleeping 2, with private hot tub will open at Drumfork Estate near Glenshee, Perthshire, in October 2017. 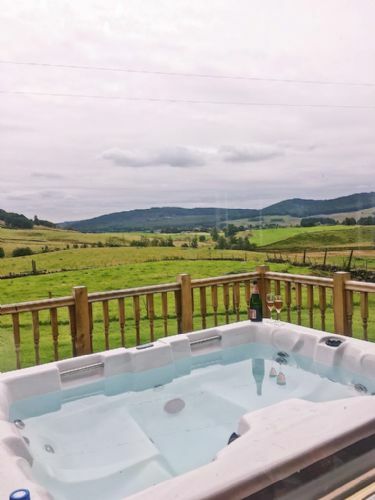 With amazing views from the private hot tub and in a secluded area of Drumfork Estate, Pine Marten Lodge is the perfect property for a romantic getaway. 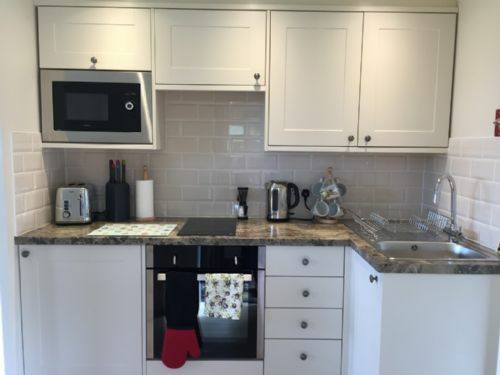 Entrance with space for your outdoor shoes and jackets leading to the kitchen complete with oven, hob, microwave and undercounter fridge with small freezer box. To the right of the kitchen, the door leads to the superking bedroom with solid oak sleigh bed leading to an en-suite shower room with large shower. To the left of the kitchen, the door leads to an open plan dining and lounge area with TV/DVD, iPod dock, WiFi* and electric fire. Cute cottage. Loved the hot tub. Excellent getaway for myself and my husband. Impressed with the daily hot tub maintenance, having come away with an infection after a previous hot tub break elsewhere I was very happy to see this attention to detail. Information about the estate, walks etc and the ongoing works taking place would have been a good addition to the information pack in the cottage. Duncan was great and very informative but unfortunately we didn't get to chat to him until we were leaving. Thank you for taking the time to leave your review, it's lovely to hear you enjoyed your stay with us and we'll be sure to pass on your suggestions regarding the welcome book. We hope to welcome you back to Drumfork Estate or any of our other locations in the future. We thoroughly enjoyed our stay in the Pine Marten lodge at Drumfork Estate. The lodge was furnished to a high standard and had everything we needed. The hot tub was well used and very welcome after long walks. We have stayed with Solid Luxury before but this was our first time at Drumfork. I would definitely consider returning! Lovely few days in the Pine Marten Lodge, everything we needed, peaceful setting and plenty of walks round about. The hot tub was just great. Thank you for taking the time to leave your review, we're delighted you enjoyed your stay with us and we look forward to welcoming you back in the future :) You may wish to try Wildcat Lodge where the hot tub position may appeal to you more. Had the best time in the Pine Martin Lodge! We celebrated both mine and my boyfriends birthday while there and it was lovely! So peaceful! Great stay will definitely be back! Have been to been to other 2 person cabins before, but this one has to be my favourite! Had an amazing 6 nights away, the bed was slightly to firm for my personal taste and we did accidentally set of the smoke alarm off when cooking some steak as there isn't an extractor fan in the kitchen area! Cabin was beautifully decorated, very spacious for 2, and the hot tub had a great view. This was also attended on a daily basis by the maintenance team. I'm slightly tempted not to tell too many friends about this cabin to ensure I keep it my secret! Absolutely loved our stay, and will definitely be back! I would definitely recommend to friends and family, everything was fine but the plates and mugs weren’t clean and everything had to washed before using it! And the front light in the lodge was broken. Thank you for taking the time to leave your review. Firstly may we apologise for you having to wash the plates and mugs, this is below our usual standards and we will certainly speak with our housekeeping team to highlight this. If you choose to stay with us again and there are any issues such as a broken light please do phone our team, we always have people on site and will be sure to try and resolve any issues as soon as possible. We have stayed with solid luxury on many occasions now but this is our first (but definitely not last) visit to Drumfork Estate. 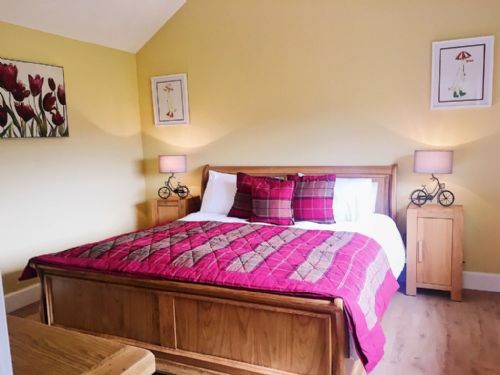 We stopped at the Pine Martin Lodge - a one bed superbly furnished and beautifully positioned lodge looking out over some breathtaking landscape of the estate. We had an amazing long weekend celebrating my partner's birthday accompanied by our dog Peggy whom was thoroughly at home with her surroundings. Everyone we met on the estate was extremely friendly and gave guidance on potential activities and walks which were breathtaking. I would highly recommend this to family and friends as I have with other solid luxury locations. We will be booking again very shortly for another but extended visit. 5 stars boys and girls - well done and many thanks for a amazing break. Lovely location and accommodation was warm, clean and welcoming. Very dog friendly and great walks nearby with stunning views. Made use of the hot tub even in the cold weather and can’t wait to go back. 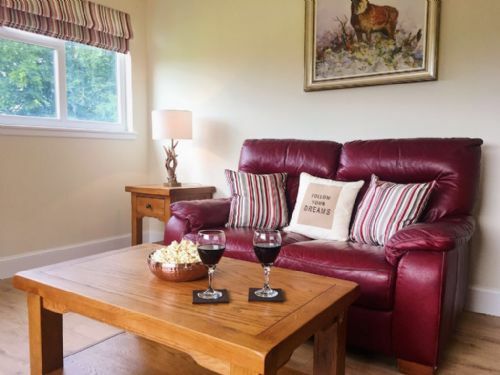 Perfect for country walks with the dog, very clean and cosy, lovely staff on site who helped quickly when we couldn't get the broadband working. Sitting in the hot tub looking at the view was bliss. Plenty to see including wild deer and rabbits. Will definitely be back! Great lodge in a lovely location, excellent hot tub. 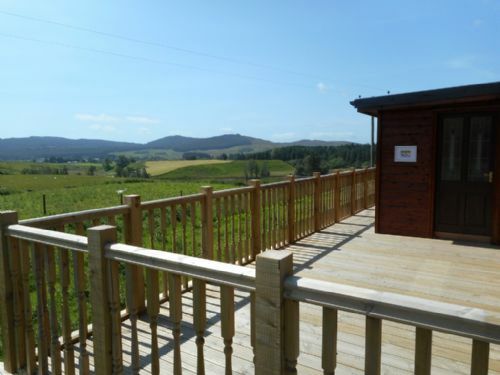 Good sized lodge with amazing views over the Perthshire countryside. Windows need a little paint but other than that it’s great. Hot tub had been turned off by mistake for our arrival but the owner was very apologetic and offered an extra nights stay and a bottle of champagne so more than made up for it. Thank you for taking the time to leave your review, we're delighted you enjoyed your stay with us and hope to welcome you back to Drumfork in the future. We had a fantastic few days away in Pine Marten Lodge with our puppy. 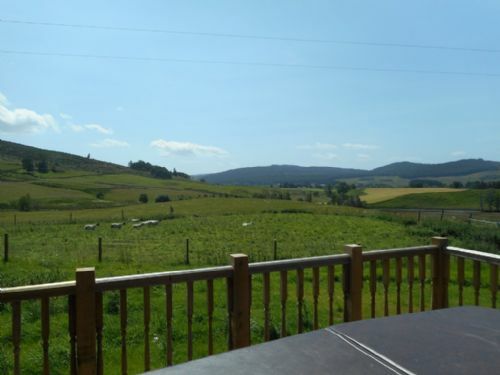 Comfortable, clean and in a fab location between Blairgowrie and Braemar! The views are lovely and the lodge so relaxing with the hot tub an added bonus! Highly recommend. We’re planning another visit soon. Will certainly be returning but found the hot tub going on and off during the night a bit off putting until we checked that it could be switched off. 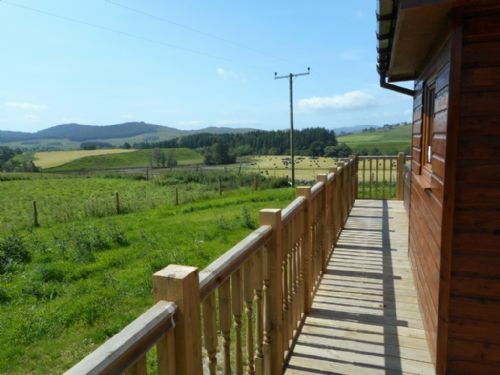 Overall very good lodge well equipped and in a lovely location. Quiet and peaceful with lovely views just what we wanted. The hot tub is a bonus after a hard days walking in beautiful surroundings. Absolute amazing lodge. Everything you need for a perfect self catering holiday. The views were out of this world. Couldn't have asked for a more relaxing few days away. The lodge is faultless. Excellent location, surrounded by amazing views. The bed was very comfortable, the hot tub overlooked the fields, the bathroom was high spec and the lounge and bedroom have a smart TV. Very relaxing getaway. Thank you for taking the time to leave your review, it's great to hear you enjoyed your stay with us in Pine Marten Lodge and we hope to welcome you back to Drumfork Estate in the future. Beautiful lodge in a stunning location. Provided with everything we needed. Clean and tidy. Very spacious for a two person. Bed was immense and the hot tub was lovely. Highly recommended. The lodge was fantastic. It was homely and cosy with beautiful views whilst relaxing in the hot tub. This was our first visit and we will most definitely be visiting again. There was everything you needed for a perfect night away. We really enjoyed our second stay at Pine Marten Lodge. Nice quiet surroundings in which to relax. Hot tub good fun and lodge clean and comfortable. My partner really enjoyed the fishing. Plenty to do round about if you don’t mind driving. Will definitely return! Thank you for taking the time to leave your review and for choosing to come and stay with us a 2nd time when there are so many places to choose from! We're delighted you enjoyed you stay and look forward to welcoming you back for a third visit. Thank you for taking the time to leave your review, it's lovely to hear you enjoyed your stay in Pine Marten Lodge and we look forward to welcoming you back to Drumfork Estate soon. Had a fantastic 3 night Anniversary break at this lodge. The lodge is perfect for 2 people and was spotless. Hot tub was great and the views great also. One point to mention is there are farmers going about herding sheep on the estate. There is also work going on around the estate with other properties being renovated for future use. You don't see this but can hear It. It did not bother us at all. The estate is beautiful and the owner a pleasure to talk too. We will definitely return again to the same lodge and try the other lodges also. Highly recommended and great value for money. Thank you for taking the time to leave your review, it's lovely to hear you chose to stay with us for your anniversary and that we didn't disappoint! We look forward to welcoming you back in the future. Thank you for taking the time to leave your review, we're delighted you enjoyed your stay with us and took full advantage of the location. We look forward to welcoming you back soon. This was a great wee lodge for our week stay in Blacklunans. Lodge very clean and tidy. They could have provided information on the use of the hob. It was an electric hob which used metallic pans for it too work. Kept switching itself off when it got too hot. Not alof of storage space for our food we brought but managed. Fridge very small and again limited space. Take your own food with you as no shops near hand. Coop at Pitlochrey and a Tesco at Blairgowrie but both a distance to travel. If you have your dog with you not much walking paths in estate as sheep in fields. There is a nice forestry walk beside the ski hire place a few miles down the road to your left once at end of road. Thank you for taking the time to leave your review, we're delighted you enjoyed your stay with us. There should be hob instructions in the lodge so we will ensure these are replaced and we will also have a look in to why it is switching off. We hope to welcome you back to any of our locations throughout Scotland in the future. Very comfortable and enjoyable first stay at Pine Marten. Staff very helpful and accomodating also. Will be back. 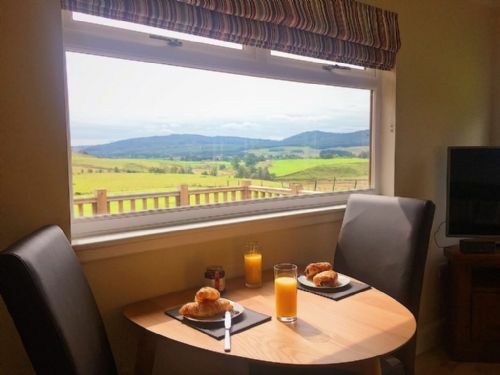 Thank you for taking the time to leave your review for Pine Marten Lodge, it's lovely to hear you enjoyed your stay with us and we look forward to welcoming you back to Drumfork Estate. We spent 3 nights here with our dog and had a wonderful time in Pine Marten Lodge. Not only is the lodge in a quiet location, it is easily reached from all directions yet feels as though you are far away from the madding crowd! The lodge was warm and comfortable and very well-appointed with everything you need for a short stay. The only thing lacking was a shaver point to charge electric toothbrushes! The addition of a private hot tub on the decking was a great bonus and we used it in sunny, rainy and snowy conditions - much to our dog's bemusement! We would definitely recommend this lodge and hope to visit again in the not-too-distant future! Thank you for taking the time to leave your review for Pine Marten Lodge, we're delighted you all enjoyed your stay with us and that you made the most of our location! We'll be sure to pass on your feedback to our Operations team and we look forward to welcoming you back to Drumfork Estate soon. We stayed 3 nights at the Pine Marten Lodge and loved it. Walks were great with the dog. Hot tub was fantastic for us, small glass of prosecco watching the sun go down,stunning. Lodge itself was exactly what we needed for the 2 of us and the dog.Will definitely book again. Thank you for taking the time to leave your review, we're delighted the 3 of your enjoyed your stay with us and we look forward to welcoming you back to Drumfork soon. Absolutely fantastic break at pine Martin Lodge. Perfect location and setting for a relaxing few days away. Thank you for taking the time to leave your review for Pine Marten Lodge, we're delighted you enjoyed your stay with us and hope to welcome you back to Drumfork Estate soon. Really enjoyed our stay, beautiful lodge excellent views couldn’t of asked for anything else very peaceful definitely will be coming back. Thank you for taking the time to leave your review, it's lovely to hear you enjoyed your stay with us and we look forward to welcoming you back to Drumfork Estate soon. Had an amazing time away with my fiancée and dog Murphy. The snow was so much fun. The deer are something a little different. The hot tub is great. One complaint and it’s due to preference the bed was solid. But this wouldn’t stop me going back. Thank you for taking the time to leave your review, it's lovely to hear you had such a good time with us and you got to experience Drumfork in the snow! We'd love to welcome you back to any of our locations throughout Scotland. Had a lovely, relaxing stay for the weekend. Perfect for a wee break or longer. Ideal location and great for the dog too. Thank you for taking the time to leave your review, we're delighted you all enjoyed your stay with us and we hope to welcome you back soon. Everything you could want from a lodge break, beautiful property, great location and stunning scenery. We are already planning our next visit! Thank you for taking the time to leave your review, we're delighted to hear you had such an enjoyable stay with us and we look forward to welcoming you back to Drumfork Estate. My wife and I booked the pine marten lodge for her birthday, as we wanted to get into the country and spend a relaxing weekend with our dog. The lodge was beautiful and it felt like we were the only people for miles around. The lodge had everything that we needed for a self catering trip, and the hot tub was an absolute delight when we were surrounded by snow. I have already recommended this lodge to friends and colleagues. Thank you for taking the time to leave your review, it's lovely to hear you enjoyed a relaxing break with us and took full advantage of the location. We hope to welcome you back to Drumfork soon. High standard of accommodation in a great location. This lodge for 2 was perfect for our get away, post Christmas. Finished to a high standard with everything required for a cosy break. The hot tub was a great bonus, after returning from a days walking and/or tromping around in the snow it was great for easing the aching muscles. Hot tub was monitored for us every day and salt put out on the decking which was much appreciated. A quiet week away at Christmas. Thank you for choosing to spend your Christmas with us at Drumfork Estate, we're delighted to hear you enjoyed your stay with and took full advantage of the location. We look forward to welcoming you back in 2018. We had an excellent time here. It was our first time going self catering, and we had everything we could need for our stay. The cottage was so cosy and clean when we arrived, and the views from the hottub were amazing. Can’t wait to come back! Thank you for taking the time to leave your review. It's lovely to hear you enjoyed your first self catering holiday with us and that we didn't disappoint. We look forward to welcoming you back to Drumfork soon. We will be back soon. It was an amazing place with great customer service and excellent value for money. The Christmas decorations were lovely too. Thank you for taking the time to leave your review, it's lovely to hear you enjoyed your stay with us and we look forward to welcoming you back soon. Lovely lodge with all amenities. Great setting for a relaxing break. Already looking to book our return trip. Lovely accommodation with hot tub, well kitted out in private location. Hosts welcoming but unobtrusive. Perfect for a peaceful break. Will definitely be back! Thank you for taking the time to leave your review, it's lovely to hear you enjoyed your stay and we look forward to welcoming you back to Drumfork.